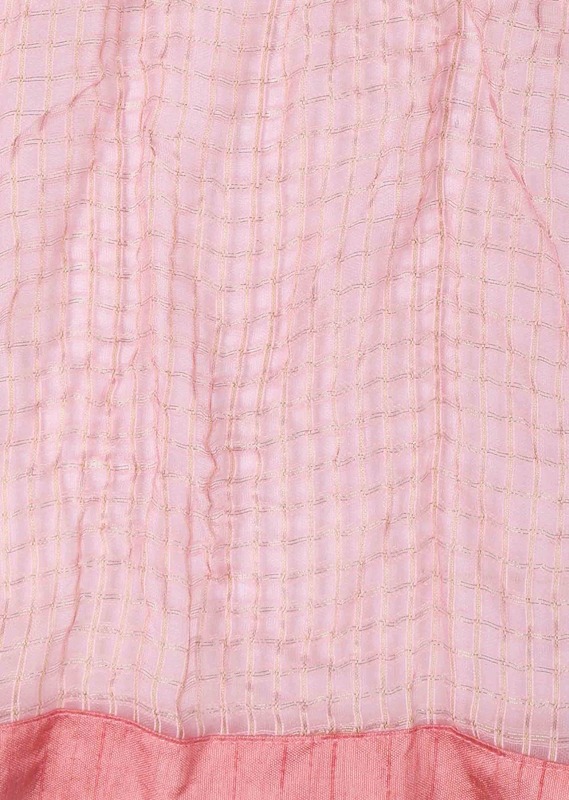 Pink straight suit featuring in cotton silk with princes line. 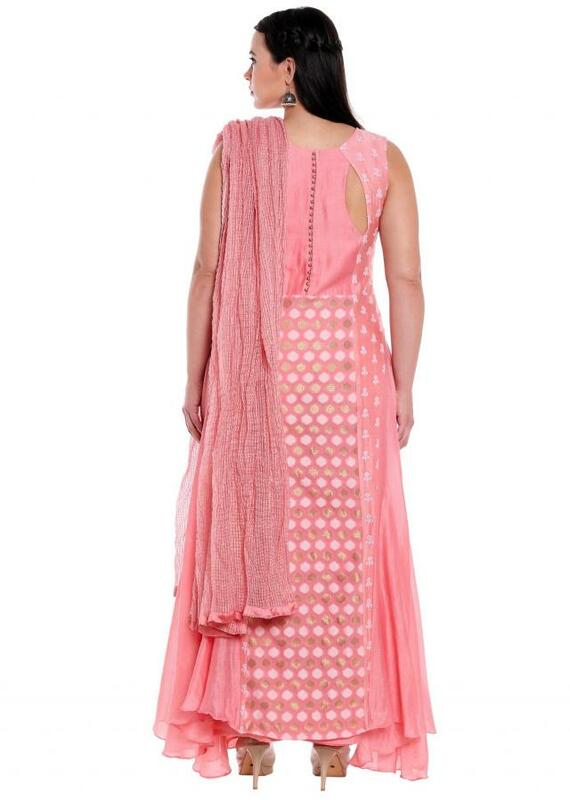 Center panel is enhanced in weaved butti and side panel in thread embroidered butti. 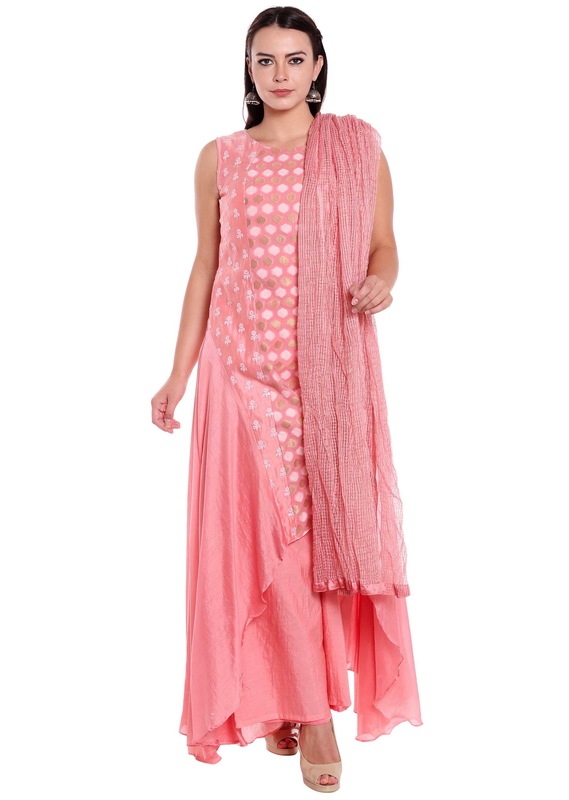 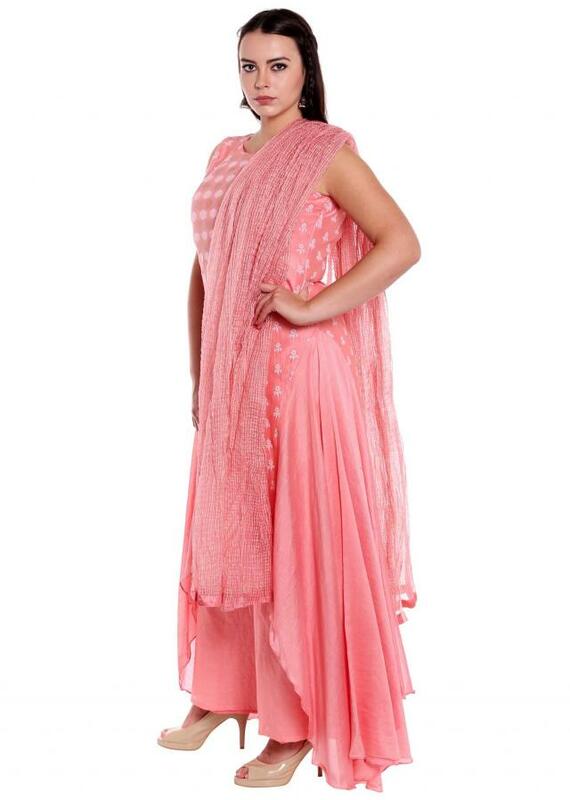 Matched with pink palazzo pant and dupatta in fancy net.